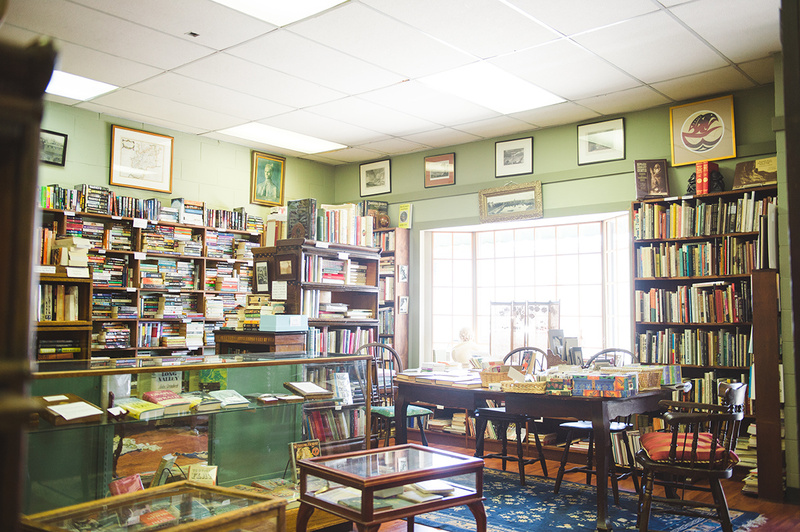 Spend some time in this seaside town touring bookstores, sampling artisanal goods, and learning more about the area’s history and geography. An afternoon visit to seaside Sidney brings many delightful discoveries. Photo courtesy Sidney BIA. Just a 10-minute drive from the Swartz Bay ferry terminal sits the welcoming town of Sidney. Not only does this picturesque place offer up impressive views of the Gulf and San Juan Islands, it is also home to an inviting main street, Beacon Avenue, that’s dotted with independent shops, cute cafés and compelling public art. So, instead of hurrying past Sidney on your way into Victoria, why not take some time to explore some of the town’s many local charms? Here are a few ideas for how to make the most of an afternoon visit. The Haunted Bookshop is full of rare and interesting books. Photo courtesy Sidney BIA. The Sidney Bakery is famous for its doughnuts. Photo courtesy Sidney BIA. In operation for more a century, Sidney Bakery has been owned by the same family since 1942 — and they’re still using family recipes from the 1940s to make some of their best-selling creations. The loaves of freshly baked, aromatic bread that line the bakery’s shelves are sure to please, but you won’t be able to resist picking up a few other doughy treats, too. 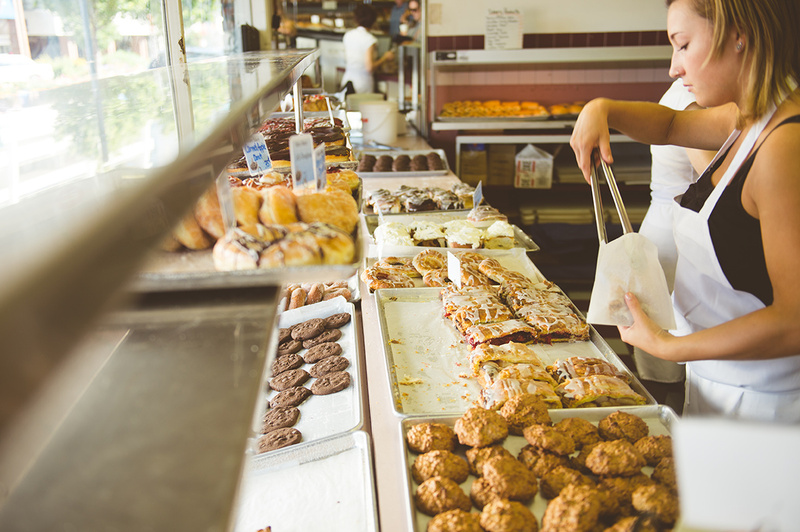 “We’re famous for our doughnuts — the apple fritters and glaze doughnuts in particular,” says Colleen Hay, who runs the bakery with her husband, Mike. Other must-tries include the gooey cinnamon buns, savoury cheese sticks, and a variety of tarts and cookies, which sell for as little as 99 cents each. 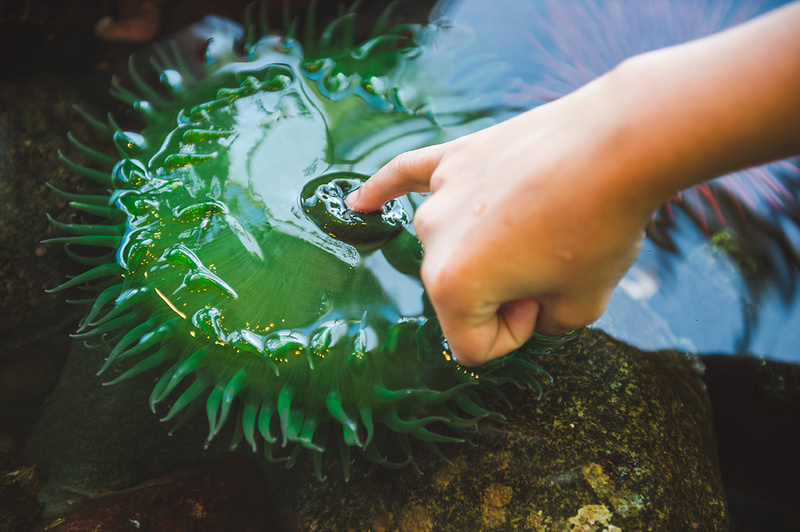 The Shaw Centre for the Salish Sea has a touch tank where visitors can get up close and personal with Salish Sea creatures. Photo courtesy Sidney BIA. Victoria Distillers’ notable indigo-hued gin. Photo courtesy Victoria Distillers. Though Victoria Distillers has been making its distinct gins for a decade now, the craft distillery moved to its new, modern location just down the pathway from the Sidney Pier in 2016. Plan to take the 45-minute tour and tasting, where you’ll get a behind-the-scenes glimpse into the facility’s distilling process. The tour wraps up with a spirit flight where you can sample a selection of spirits. For those looking to sip something a little different, try the distillery’s distinctive indigo gin. 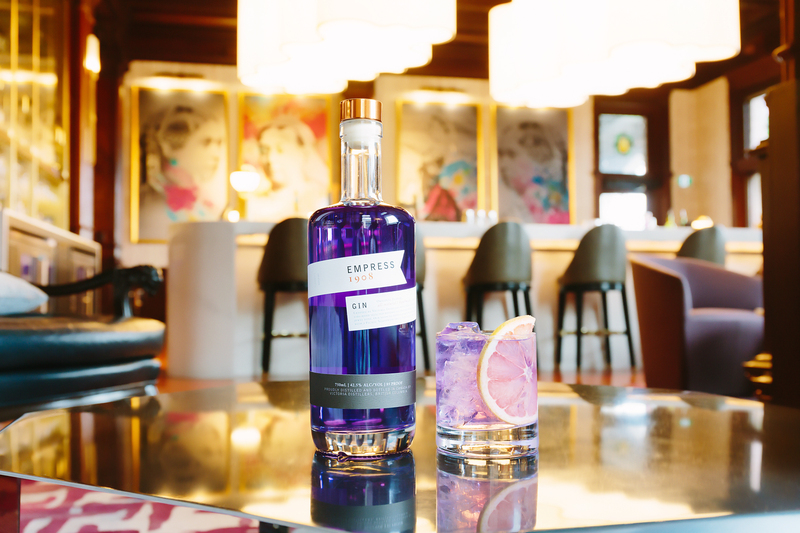 “We took inspiration from Victoria’s iconic Fairmont Empress Hotel in creating our Empress 1908 Gin,” says Tomás Dosil, the distillery’s hospitality and experience manager. Just across the Patricia Bay Highway from downtown Sidney is the Victoria International Airport, and around the airport’s perimeter is a popular walking and cycling path known as the Flight Path. Paved and relatively flat, the 9.3-kilometre trail is a safe and accessible path for hikers and cyclists of all abilities. Expect to see gorgeous views of the Saanich Peninsula and be sure to stop to read the educational signage that dots the trail — it’ll give you insight into the area’s military history, aviation history and geography. 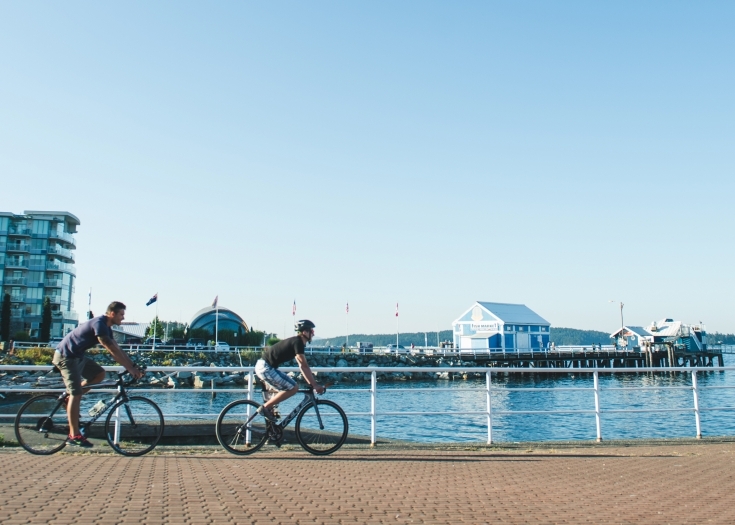 If you’re feeling really energetic, continue on to the Lochside Trail; this trail links to the Flight Path at Beacon Avenue and is a safe and scenic way for cyclists to continue the five kilometres north to Swartz Bay or south into downtown Victoria.